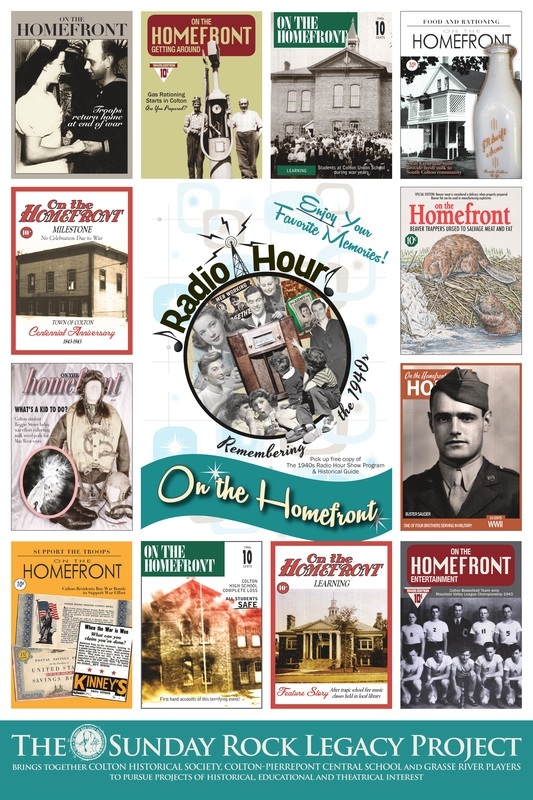 The two posters below, as displayed in the Colton Museum, highlight people, places and events as recalled by many who grew up in town or knew people here. Research on the 1940s and World War 2 years, in particular, was done during 2013 as part of The Sunday Rock Legacy Project which brings together the Colton Historical Society, Colton-Pierrepont Central School and Grasse River Players to annually pursue historical, educational and theatrical activities of interest. 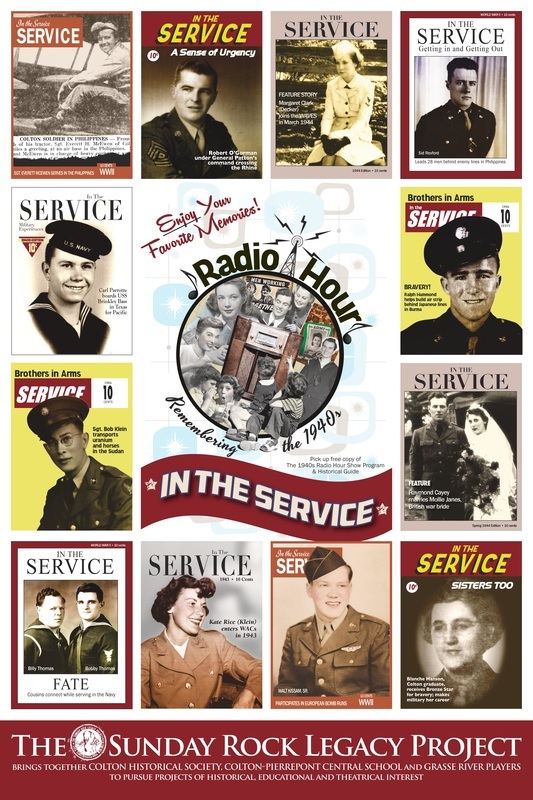 The 2013 Show Program & Historical Guide, still available in the Museum, includes snippets about being 'In the Service' and 'On the Homefront' as recalled and shared by a variety of people during oral histories and other research done as part of the 2013 project.